Billboard have released a list of the highest grossing tours of 2018, aka the ones that took most money not necessarily made their stars the highest. So who took the most wedge? 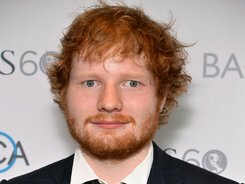 After 99 gigs, Ed Sheeran topped the list with a gross of $429 million, which happens to be the biggest in the amount in the listing since it began in 1990. Taylor Swift and Beyonce / jay Z come next, and somehow, despite being rubbish for years, U2 make it into number 7. Mind you, Journey are at ten proving than students can just about still afford some tickets. Shout out to classical star Andre Rieu for coming 21st.